This has nothing to do with the upcoming Valentine's day which happens to fall in this Saturday. I just feel like archiving some forwarded beautiful (love) stories for re-reading materials and reflection. An incredible love story has come out from China few years ago and it has managed to touch the world. It is a story of a man and an older woman who ran off the to live and love each other in peace over a half century. 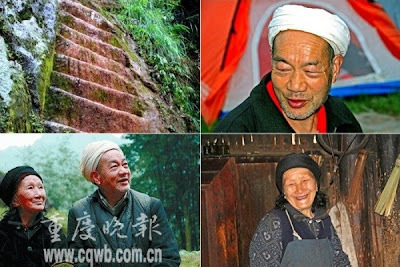 The 70-year-old Chinese man who hand-carved over 6,000 stairs up a mountain with his 80-year-old wife has passed away in the cave which has been the couple's home for the last 50 years. 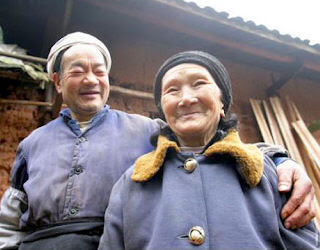 Over 50 years ago, Liu Guojiang, a 19-year-old boy, fell in love with a 29-year-old widowed mother named Xu Chaoqin. In a twist worthy of Shakespeare's Romeo and Juliet, friends and relatives criticized the relationship because of the age difference and the fact that Xu already had children. At that time, it was unacceptable and immoral for a young woman to love an older woman. 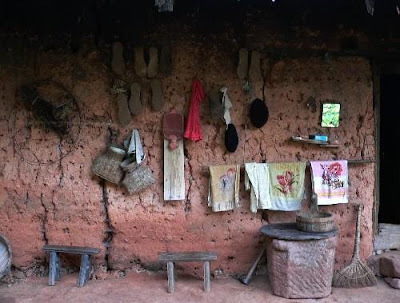 To avoid the market gossip and the scorn of their communities, the couple decided to elope and live in a cave in Jiangjin County in Southern Chongqing Municipality. In the beginning, life was harsh as they had nothing, no electricity nor even food. 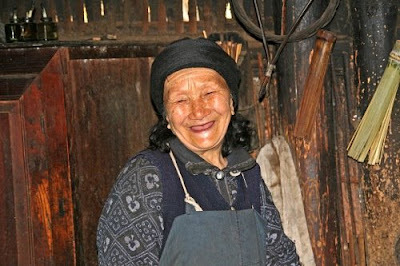 They had to eat grass and roots they found in the mountain and Liu made a kerosene lamp that they used to light of their lives. Xu felt that she had tied Liu down and repeatedly asked him, "Are you regretful?". Liu always replied, "As long as we are industrious, life will improve". 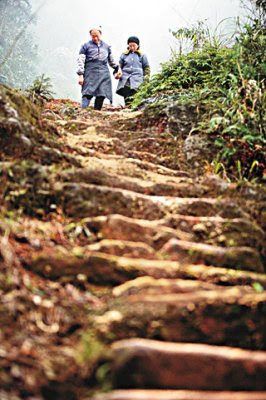 In the second year of living in the mountain, Liu began and continued for over 50 years to hand-carve the steps so that his wife could get down the mountain easily. 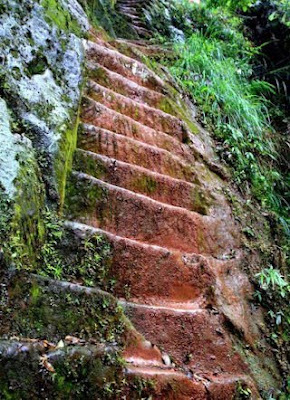 Half a century later, in 2001, a group of adventures were exploring the forest and were surprised to find the elderly couple and the over 6, 000 hand-carved steps. 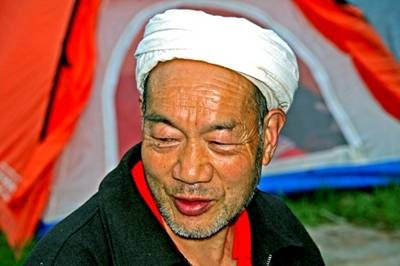 Liu Mingsheng, one of their seven children said, "My parents loved each other so much. They have lived in seclusion for over 50 years and never been apart a single day. He hand carved more than 6,000 steps over the years for my mother's convenience, altough she doesn't go down the mountain that much. 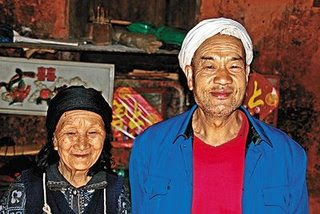 The coupled had lived in peace for over 50 years until Liu, 72 years old then, returned from his daily farm work and collapse. Xu sat and prayed with her husband as he passed away in her arms. So in love with Xu, Liu was, that no one was able to release the grip he had on his wife's hand even after he had passed away. "You promised me you'll take care of me, you'll always be with me until the day I died. Now you left before me. How am I going to live with you?". Xu spent days softly repeating this sentence and touching her husband's black coffin with tears rolling down her cheeks. 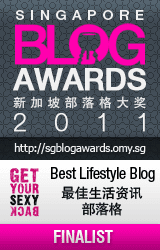 In 2006, their story became one of the top 10 love stories from China, collected by the Chinese Women Weekly. The local government has decide to preserve the love ladder and the place they lived as a museum, so this love story can live forever. My question is: How to bear such unbearable love and pain? The writer, KuR2Girl ? asks a question that has probably been asked and answered by each generation, and perhaps may only be answered in less than words, as words never entirely encompass and answer this simple question... why or how does one bear the feeling of love? Perhaps this is best accomplished by being with one whom you love and get your answer there, in silence? If you find this helpful, please pass this on to someone in need and dedicate any merit to one who taught love.